Reminiscing of wildlife in the days of plenty, M K Ranjitsinh (MKR) narrates that “it was common to spot up to 400 blackbuck on a morning’s drive......... and the pastime I loved most as a boy, after leopard watching....... see them go into those incomparable bounds....... they had disappeared altogether from the open plains by 1960”. That, in essence, is the sad status of India’s entire wildlife outside the protected areas, 70 years past Independence. MKR reveals the purpose and focus of his engrossing book, part autobiography, but essentially an insightful tour-de-force of India’s natural history, through his opening statement: “India had a unique advantage in saving its natural heritage over every other newly developing nation in the twentieth century. The traditions and even the infrastructure were there. Unfortunately, we squandered this advantage.” And no one is better placed to weave such an audacious retrospective because here was a bureaucrat who, barring one appointment as District Collector (Mandla), spent his entire service in departments dealing exclusively with wildlife. And he always stuck his neck out to uphold convictions backed with scientific truths. MKR postulates convincingly that the structure which aided wildlife and forests to sustain optimal levels in the past (despite hunting and natural prey) stood upon three pillars. The foremost was the uncompromising commitment to nature conservation by the colonial government and Indian feudal chiefs. Next was the cultural ethos of communities such as Bishnois of Rajasthan, to preserve specific trees and animals (khejri and blackbuck). And the third was the pervasive cult of ahimsa, coupled with vegetarianism espoused such as by Jainism and most sects of Hinduism. Indeed, it was this ethos which Lord Curzon employed, in collaboration with the Nawab of Junagadh beginning in 1902, for the successful revival of the Asiatic lion from the last surviving pride of about 20. And that legacy prospered, as MKR states with a sense of pride, “Jawaharlal Nehru was a genuine lover of nature and wildlife and it was at his instance that the Indian Board for Wildlife was created,” in 1951. However, Nehru did not foresee that by allowing “forests and wildlife as a State subject under the Indian Constitution” the situation would be exploited to divert vast tracts of centuries old forests to agriculture. And which eventually became a continuous lucrative vote-bank lure with politicians of all hues. Fortunately, that Constitutional infirmity was not lost on Mrs Indira Gandhi; she held a brain-storming session in 1971 with nearly 25 chosen experts. Seizing an opportune opening, MKR emphasised that “India needed a uniform legislation for wildlife and forests and to bring them to the Concurrent List of the Constitution through amendment using the provision of Article 252”. Mrs Gandhi recognised merit in that proposal and what followed was history. 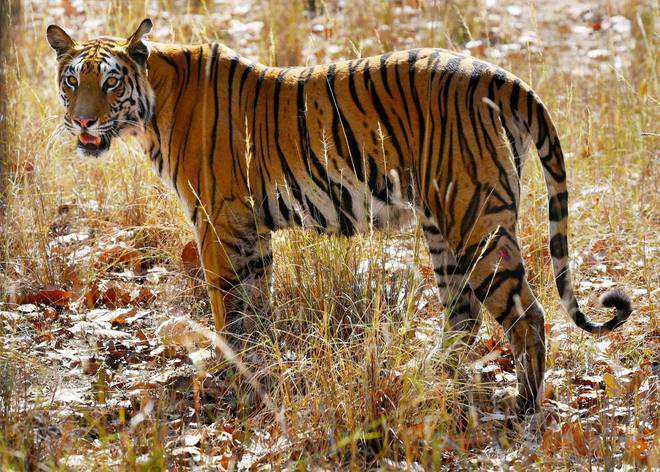 MKR helped draft the Wildlife (Protection) Act, 1972, and almost simultaneously launched Project Tiger in 1973. The Forest Conservation Act, 1980, followed and finally came the Environment Protection Act, 1986. None of this would have fructified but for Mrs Gandhi’s letter to all Chief Ministers urging, “This is not a political issue. It concerns the survival of our natural heritage. It is hard to think of India devoid of its magnificent animals”. Without a murmur, all State Assemblies passed the requisite resolution within the month. However, the bitter truth remains that despite appropriate legislation backed by the political will to sustain ecological equilibrium, the chosen “development model” placed un-satiated demands on land. MKR came to “realise that in the prevailing circumstances not just wildlife but forests and nature itself had hope of long-term survival only in effectively managed national parks and sanctuaries....” Guided by this intuitive wisdom, he moved like a man possessed and in Madhya Pradesh alone, increased the number of national wildlife parks from two to 11 and sanctuaries from 20 to 34. When he was appointed Additional Secretary in the Ministry of Environment & Forests, he carried the same zeal, among other places, even to the Andaman & Nicobar Islands. It was then quite natural that the UN Environment Programme would pick MKR as their man for the Asia Pacific region as indeed several other global environment entities would, in coming decades. The book is replete with endearing episodes; including the one about Manipur brow-antlered deer. With support from Mrs Gandhi, the deer (sangai) which numbered less than 30 in 1975 was revived to 98 in April 1995. Rajive Gandhi was the last Prime Minister to understand the conservation paradigm as a national imperative. He created the Ministry of Environment & Forests, the Wildlife Institute of India and the Ganga Cleaning Project. Beginning with PM Narasimha Rao, the espousal of conservation started plummeting. In 2013, MKR tried to convince Chief Minister Narendra Modi to allot a mere 14 acres of government land to the tiny 2.2-sq km Kutch Bustard Sanctuary but to no avail. The world may well lose this species by the 2050s. Now even as the head of the State, Modi has shown little empathy for nature conservation. The book has some good photographs of varied species from across the world. It also states quite modestly in passing that in 1980 a new subspecies of the barasingha in India was accorded recognition as Rucervus duvaucelii ranjitsinhi in recognition of his efforts.